Binding undergarments have played an essential role for women throughout the centuries, molding the ideal female form while also serving as restrictive torture devices. Even as recently as the mid-1960’s, women were obligated to squeeze their bodies into corsets, girdles and other binding devices. Before the advent of the free 1970’s era caused the population to reject constricting undergarments, including the standard brassiere, it was common to see women wear girdles and corsets in an effort to mold the female shape into the ideal hourglass. My mother felt pressure to wear girdles to squeeze her already tiny little body into an even more compact package, molding a 20 inch waist that made men around her swoon. Bu by the time I was born, my mother gave up the notion of manipulating her form in such torturous ways and put her girdles in cold storage. Whenever I would see them in the bottom drawer in her dresser, I would marvel at how anyone would want to wear something so uncomfortable. By the time I reached my 20’s, I developed a strange aversion to tight waistbands and as a result wore dresses most of the time. When yoga pants became popular in the 90’s, I was thrilled because they incorporated a low rise and comfortable fabrics. Then I began competing in 2009 and realized very quickly how much my body would be scrutinized as I hit the contest circuit. Because I have a naturally nipped in waistline, I never considered that it might appear wider onstage than it actually was, but with my somewhat narrow hips, I had to consider ratios and angles. By the middle of 2011 I began using corsets and waist trimmer belts to whittle down my waist. My significant other at the time made fun of me, telling me he thought it was pretty ridiculous that I was torturing myself with constricting undergarments. I had to get over my dislike of tight material around my waist. The one thing that kept me going was my desire to attain IFBB Pro status, so I quickly acclimated to the habit of wearing them. The other amusing twist is the significant other I mentioned began to wear them for his contest prep, and went down from a 33 inch waist to a 29 inch waist, and won his IFBB Pro Card with that waist measurement. People frequently ask me if corsets and binders work. The answer is a resounding YES, THEY DO. When I was consistent about wearing them, I went from a 24 or 25 inch waist to 23 inches, and had actually pared down to a 22-1/2 inch waist right before I won my IFBB Pro Card in 2013. I continued waist training through the middle of 2014, but have spent the years since then without practicing rigorous waist training. The main reason why I initially abandoned waist training was because I was dealing with a higher body temperature, thanks to menopause, which made waist trimmers even more torturous than they normally were. Another good reason for abandoning waist trimmers was the fact that I was not prepping for any contests. I may throw on a corset on a rare occasion for several days to compress my midsection for a photo shoot, but other than that, my waistline is unrestrained by rigid waist trimmers. When I wore corsets daily, I dealt with the metal boning poking out as the corsets would wear out, and would glue them back into their channels, so I know all too well the sensation of metal poking into my underboob, my ribcage or my hip bone when the corsets began wearing out. I would get digestive upset, abdominal pain, and at times had difficulty breathing. During one stretch of time when I was wearing latex corsets, I developed painful lesions all over my back from the yeast overgrowth which resulted from the long hours of wear and the constant sweating. It took me over a year for my skin to heal from all those lesions, and I have a couple of permanent scars to mark my determination to sculpt a waistline that would win a Pro Card. Now I wear corsets from time to time if I feel the need to squeeze out extra water from my midsection, but I will probably never return to the days of wearing corsets for many hours, driving to work in pain because a metal boning was jabbing me in the rib, sweating profusely under nice clothing, and dealing with skin around my midsection which was constantly macerated, lighter in pigment, and showing signs of skin breakdown. 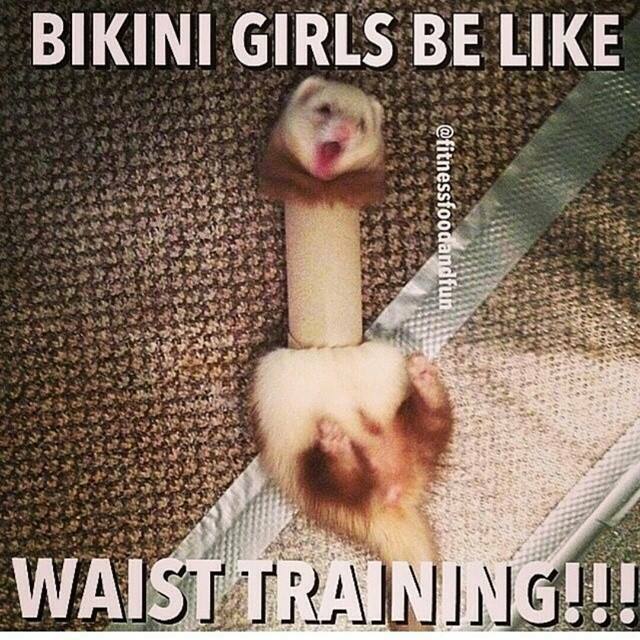 I know many of you want to slim down the midsection, but please be careful when you wear corsets! It isn’t worth ruining your skin and compressing organs to wear these torture devices for extended periods of time. Give your skin and your torso a rest in between the sessions during which you are training your waist. I recommend wearing corsets for no more than a 4 hour stretch. And in case you men are feeling a bit neglected here, trust me, there are garments designed especially to sculpt the male midsection. Be prepared for these things to fit VERY snugly! However, make sure you can breathe. 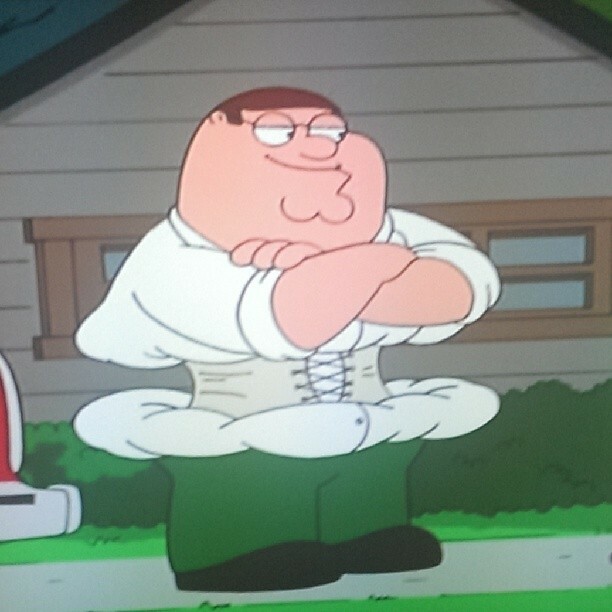 If you feel lightheaded while wearing a corset, remove it immediately.